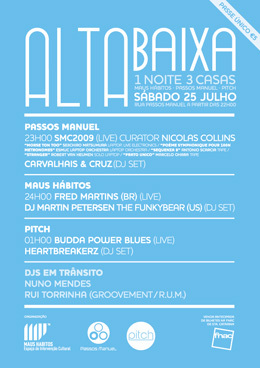 July’s “Alta Baixa” and closing night of the 6th Sound and Music Computing Conference in Passos Manuel, Porto. Performances in the main room and Crónica HDJs Miguel Carvalhais and João Cruz at the bar and club areas of Passos Manuel. Tonight, all night.